Build up defenses and survive the night. Written by Nate Lakritz on April 4th, 2019. 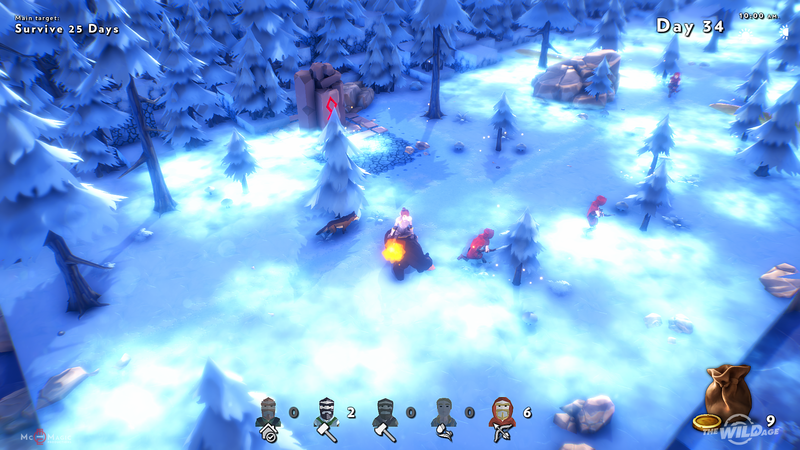 Heavily inspired by the Kingdom franchise, The Wild Age is a slow-paced, survival-management game with a medieval theme. The goal is simple — defend your village from barbarians that spawn at night by generating income and implementing various defensive schemes. Whether you choose to build up walls, purchase an army of archers, plant watchtowers, or all of the above, The Wild Age provides a relaxing environment with opportunities for exploration and basic city-building. I won’t mention The Wild Age’s remarkable similarity to Kingdom too often throughout this review, but it’s essentially a direct conversion of Kingdom into 3D. I’ve never personally played any of the Kingdom games, but even The Wild Age’s developers themselves have stated, “The Wild Age is inspired by the Kingdom game series, and we do not intend to keep this a secret.” Just be aware that what you’re getting here is hardly original. The game will be in early access for a few months longer, but most of its final experience is already present. 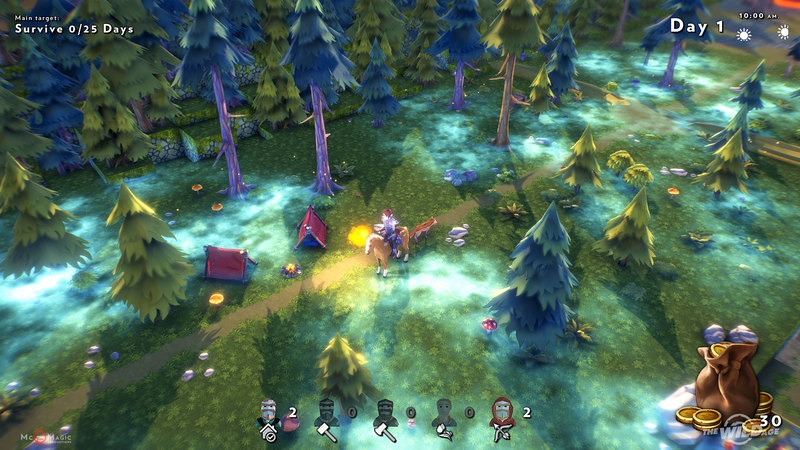 You play as a small village’s powerful ruler, free to roam on a horse and gradually develop the town’s defenses. Each map is just a long, narrow, finite stretch of land filled with wildlife and designated areas to build new structures. Your village is at the center of the map with indispensable walls on each side. Enemies spawn at night and try to break the walls down, and exposing yourself during this sequence will lead to a sure death. 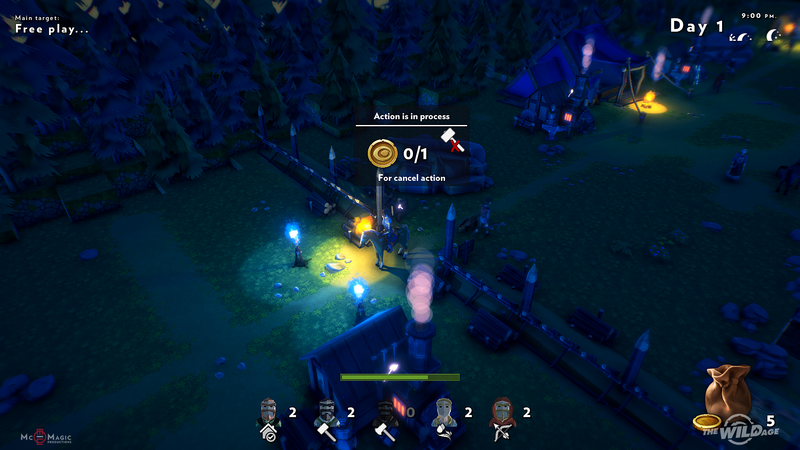 Gameplay is quite simple, as you’ll spend most of the daylight hours upgrading defensive structures and collecting coins. There isn’t much you can do once enemies are raiding your base except watch the chaos unfold. As a result, half of the game is completely passive and serves as a simulation of sorts to test your defenses. I would have liked the ability to actively engage in combat, at least in some small capacity. Your villagers will automatically respond to danger and cannot be controlled directly, and even your avatar cannot contribute to the defensive effort. An opportunity for some RPG elements isn’t taken advantage of, and you’re left galloping around aimlessly as your village gets bombarded. Valuable coins keep your operation afloat, as they’re required to build structures and recruit villagers. I’m still not completely sure how you earn coins — villagers will occasionally drop a load of coins when you walk up to them. A few chests scattered throughout the map contain a fair amount for your starting funds and a merchant will arrive each day with four additional coins. Finances are always tight, so you’ll have to make sacrifices as the game’s strategy component comes into play. It boils down to deciding whether to invest in farms for future earnings or immediate defenses for nighttime attacks. Whenever you recruit a new villager, you’ll have to pay some coins to assign them a role. The most important type of villager is by far the archer. They are the only type that can defend your base and also earn a fair amount of coins during the day. While archers are absolutely essential, I found the “builder” to be quite the opposite. You definitely need one builder to repair structures and build new ones, but having multiple is a waste of resources. The daylight hours give plenty of time for a single builder to finish all their tasks. Extending the time it takes for a builder to complete a task would add another layer of strategy and make it more challenging for the player to decide how to assign villager types. Also, a knight-type is in development and will further balance out The Wild Age’s current villager lineup. A handful of bugs currently exist in the game, such as clunky responsiveness when trying to purchase a structure or view information about it. You’ll have to walk up to it a few times at certain angles to bring up the prompt. Poor performance leads to overall sluggishness when moving around, and I’m hoping improvement in this area is a priority during early access. Also, you’re required to constantly feed your horse by stopping next to grass, but there’s really no reason to have this mechanic. These issues aren’t critical and should be excused for the most part since The Wild Age is still in late stages of development. The Wild Age is probably best suited for fans of the Kingdom games looking for a solid remake. It offers decent management gameplay with some tower defense and survival themes, but combined with the various bugs and optimization issues, the game is just slightly better than average. I’d recommend waiting to purchase The Wild Age until after early access in order to get a bug-free, fully balanced, smooth-running experience. 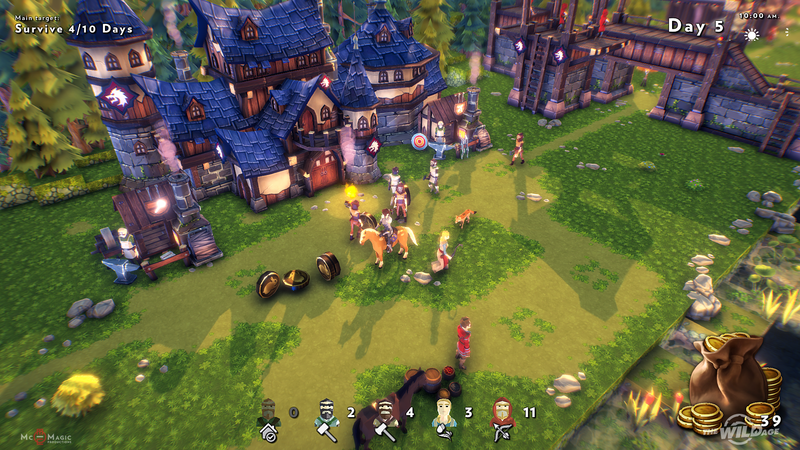 Graphics: The game is a 3D version of Kingdom, but optimization issues hinder the "upgraded" experience somewhat. 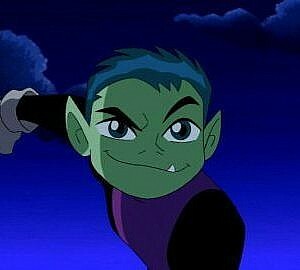 Gameplay: Your job is to make some strategic decisions and ensure your village can survive a goblin onslaught each night. Fun Factor: The Wild Age is fun at times, but mostly serves as a passive management game with some nice themes. Replay Value: Plenty of islands and missions offer a good amount of content. Also, there's a map editor if you're looking to create your own levels. Originality: The Wild Age is not original, but Kingdom was original. Make of that what you will. Final Rating: 6.5/10. The Wild Age is probably best suited for fans of the Kingdom games looking for a solid remake. It offers decent management gameplay with some tower defense and survival themes, but combined with the various bugs and optimization issues, the game is just slightly better than average.